How Exactly Do Tires Get Old? You love your bike so much that “storage tents for motorcycles” always comes up when you go on Google. With that in mind, we are sure you always look for the best accessories to help you with the upkeep, so check out this post to find something useful for your riding vehicle. To offer up a metaphor, tires can be like a good beer, in the sense that they are stamped with a “Born On Date” at the time of manufacturing. 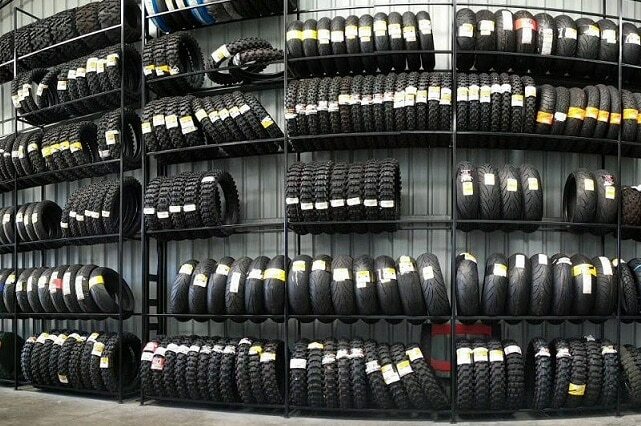 Continuing the idea, all tires also have an expected shelf life and also age very differently on an uncontrolled shelf compared to a temperature-controlled environment. The numbers engraved on the tire, commonly known as a “Date Code” represent a standardized 4 digit number indicating the week and the year of the tire’s manufacture. This standardization was created and set in effect in 2000, so older bikes which still have their original wheels might have aged a little differently. The reason for the change was because even though older models still showed the week and year of a decade, people would usually have problems identifying the exact decade so they needed a more exact system in place. From 2000, the U.S. Department of Transportation (DOT) and the National Highway Traffic Safety Administration (NHTSA) require that the tire Identification Numbers follow a combination of the letters DOT continued by eight to thirteen letters and/or numbers which show the manufacturer’s location, code, the tire size and the week and year the tire was produced. Same as with beer and many other products, a tire’s shelf life can greatly differ depending on the conditions it is stored in. If you leave it outside at the mercy of the sun and the elements, a beer should be good for a week and a tire for about a year. Situated on a pantry or warehouse shelf where it can be subject to temperature changes, your favorite drink can last a few months and your favorite tire several years. However, a properly stored beer that is comfortably sitting in a refrigerator can stay fresh and drinkable for years while a tire stored in a temperature-controlled warehouse can stay in top condition for up to 6 years. Michelin announces that their tires come with a limited warranty which can cover defects in workmanship and materials for the life of the usable tread (worn down to the top of the built-in indicators in the tread grooves) or 6 years from the purchase date, depending on which one comes first. Bridgestone states they can replace a tire on the basis set in the Limited Warranty if it becomes unusable for any reason within the manufacturer’s control before wearing down to 1/32 inch of remaining original thread depth and within 4 years from the date of purchase, with proof of purchase. Keep that in mind and make sure to keep your tire receipt well guarded and behind closed doors. Metzeler likes to keep things simple, with its motorcycle tires being covered for the life of the tire, 4 years from the manufacturer Date Code or until the thread reaches the already-famous depth of 1/32”. 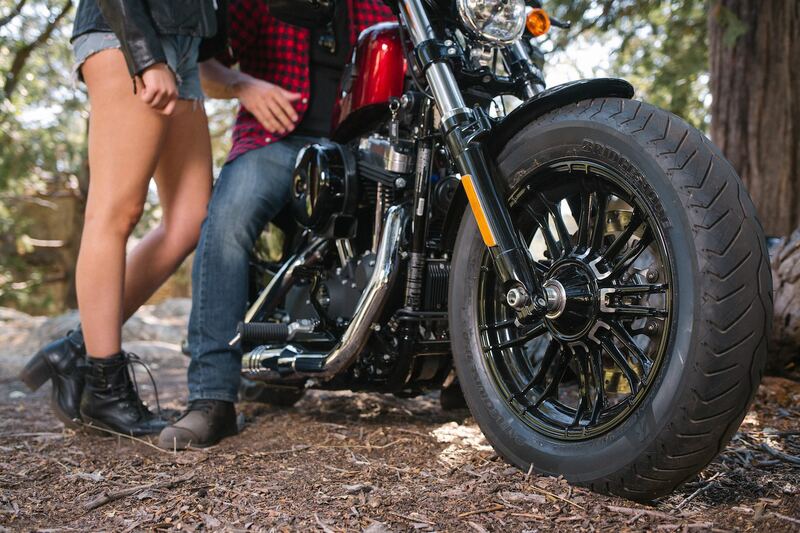 It’s completely normal that motorcycle tires wear out both from usage as well as age. Keeping tabs on their age is also very good if you want to ensure you enjoy the best rides, but what is not okay is assuming your tires need to be as fresh as the contents of your fridge. 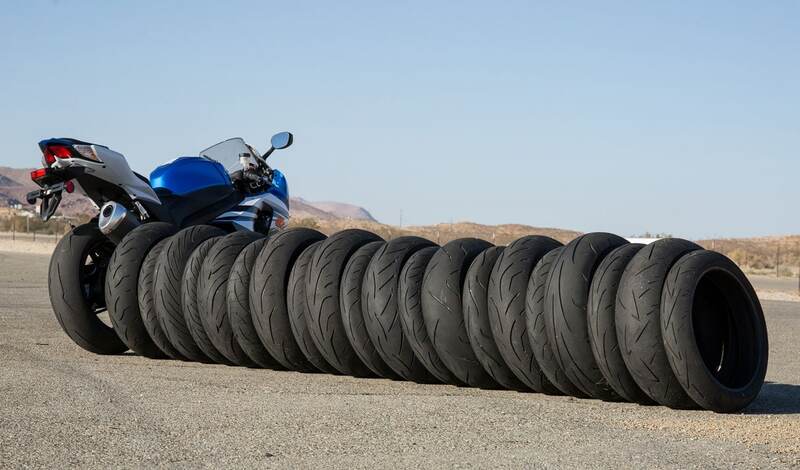 While it’s good to be cautious, there have been reports of riders refusing to buy tires that are more than a year old, which in rubber-world is actually considered to be very, very fresh. You can see why since most tire companies put the “sell by” date somewhere around five years from the date they were made. Unless you plan to wear out the tire in that time, don’t sweat it. The problem is that when a product is considered top-notch by the manufacturer but consumers mistakenly disagree with that opinion, retailers and distributors are left in a limbo, not knowing how and where to move. Moreover, local dealers that like to keep a well-stocked inventory may not move product as quickly as a large retailer that can also sell online. Therefore, when a consumer will demand a newer tire than the perfectly good one that is already offered to him, this creates a wave of problems that have a ripple effect back to distributors and even all the way back to the manufacturer by forming a back stock of good, unused products. If this behavior continues, dealers will probably have to raise prices to cover for their losses, and this is something no rider wants to see. When they age, tires are subject to a process called oxidation, where oxygen makes contact with the compounds in the rubber and causes them to harden and eventually become brittle. As this process further increases over time, the tire’s performance will decrease until you can no longer use it in a satisfactory way. Thankfully, this is a relatively slow process. Another thing you should know is that oxidation will happen more rapidly at higher temperatures, so try to store your bike in a cool location if you can. Furthermore, if you have not been riding in the past couple of weeks, it’s probably a good idea to raise it off the ground a little to prevent flat spots from forming on your tires. That being said, don’t forget the five-year rule about buying new wheels for your ride. If you get a tire from a dealer and it is a couple of years old, remember there’s plenty of life left in it and plenty of safe miles for riding ahead for you!